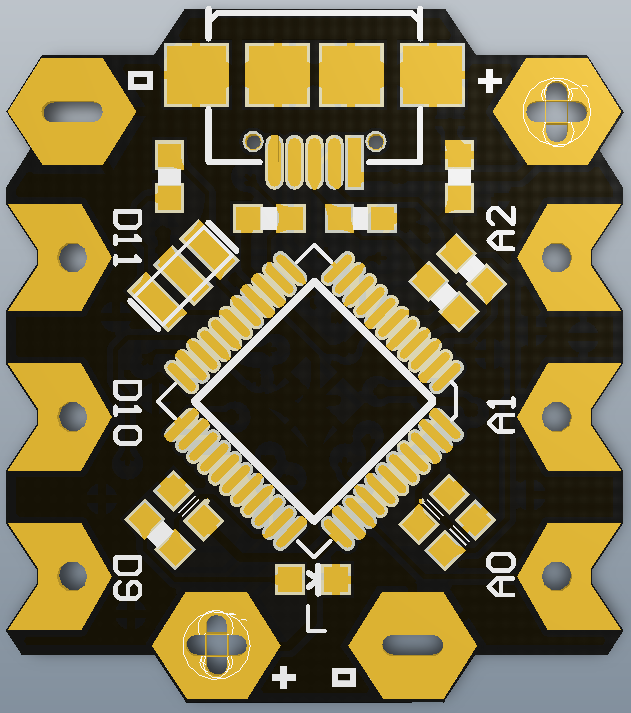 Beetle is fully compatible with Arduino,please select “Arduino Leonardo” when using. 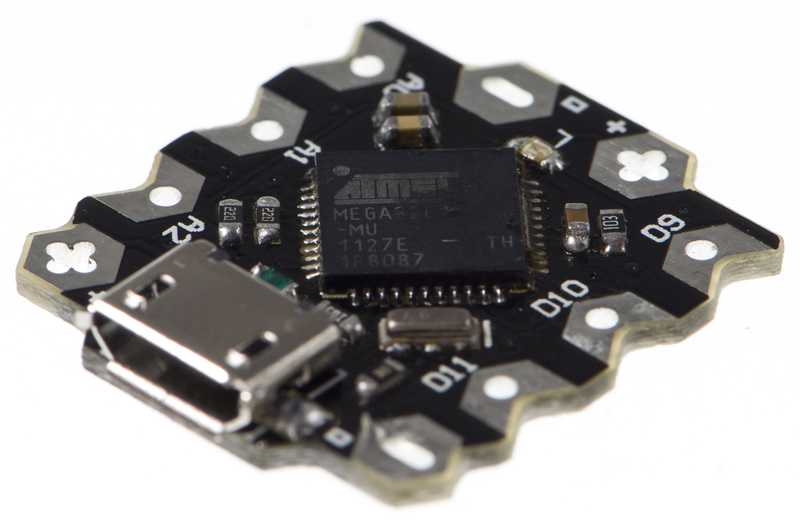 Power supply via micro USB or power interface. Beetle is fully compatible with Arduino Leonardo，see link for more details in connection：http://arduino.cc/en/Guide/Windows#toc4, the only difference is to select "Arduino Leonardo "（"tools 〉 board 〉 Arduino Leonardo" in Arduino IDE）. 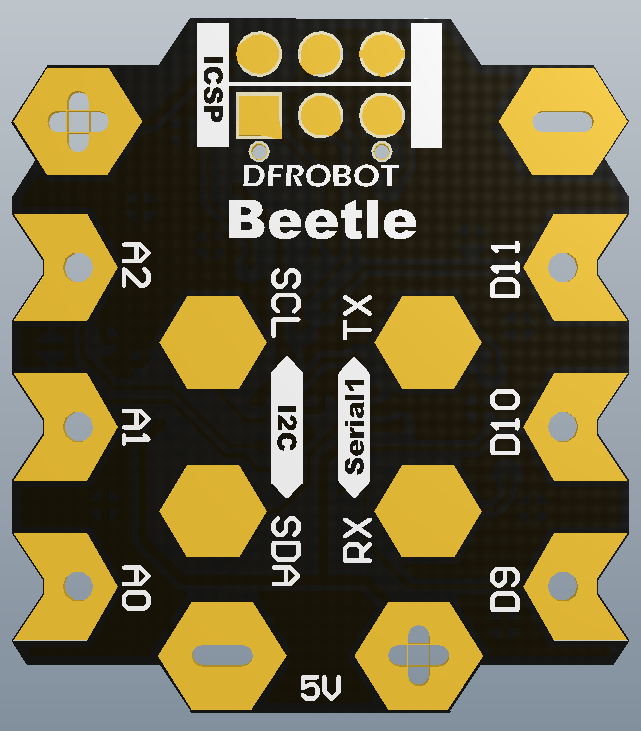 All codes for Arduino Leonardo can apply to Beetle. 4.5V-5V; it may work under 3V-4.5V, but the reliability is not guaranteed. capacitor over 10uF, in order to prevent restart or malfunction caused by large load transient. Sometimes Leonardo Uart port will be locked by the sketch. It will lost its COM Port in Device Manager.There is a method to wake it up. Step1： There are 6 dots on the back of the module. This is ICSP interface. Please plug beetle to your usb cable. And watch your device manager. Using a cable to touch Pin 5 and Pin 6, then Beetle will reset. and Device manager should appear a COM port named "Arduino Leonardo bootloader (COM x)". After a few seconds, it will disappear. If you see this information you could go Step 2. Step2: Open your arduino IDE, and open any sketch like "Blink", select the board to "Leonardo". There is no COM port now. Just click "Upload". After IDE has completed verifying, touch the Pin 5 and Pin 6 immediately. You need try several times, because the correct time is not easy to be caught. Use has been normal, after loading a new program, the computer can not find the virtual serial Beetle? After eliminating the cable connection problems, then this question is that the new program is loaded affect the USB communication. 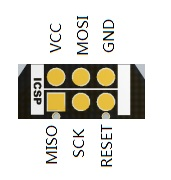 to be loaded manually reset mode，Beetle resets through a short jumper  RESET and GND of ICSP interface to achieve.